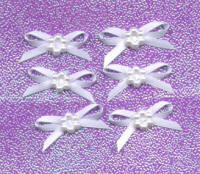 White satin ribbon bows with a pearl centre. 3mm ribbon. Pack of 10.